Find your new home at one of Chicago finest addresses, The Bernardin, 747 North Wabash Ave. Chicago, IL 60611. This is one of Chicago's top luxury buildings. There are several luxury units in this building, each one offering residents a fabulous amenities package. This building is located in Gold Coast, just steps away from shopping at Magnificent Mile. Our certified agents here at reside360 are eager to help in all your real estate needs and would be happy to help you find your new home at The Bernardin Condos. 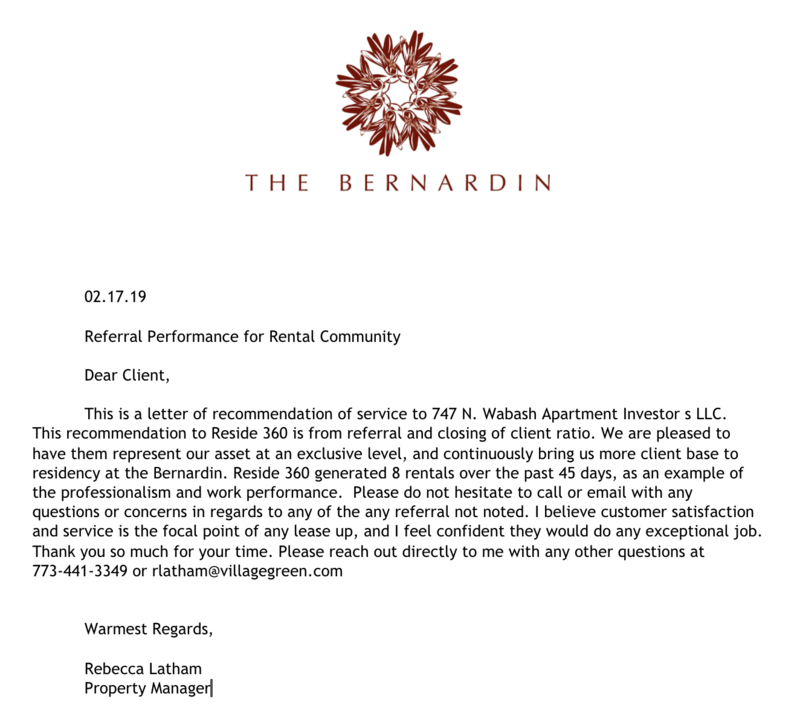 We provide buyers access to the most recent condo listings and information for The Bernardin, 747 North Wabash Ave. Find List Price, Pictures, Virtual tours, and all essential information for your home buying decision making. Our agents are available anytime to assist with your search. Please call (312) 360-1060 to speak with someone directly, or contact us online.